This episode features actor-pastor Nicole Iaquinto and Kirt & Cindy Schutt, as they discuss their immersion trip to Mexico to understand the impact of immigration on that side of the border - and the stories they gained from the experience; includes music by Led Zeppelin, Crowded House, Jackson Browne and Sting. This episode features actors Brian Tan, Donna Carpino and Ed Contini from Penfield Players' "Over the River and Through the Woods" and includes music from 1983; features music by Bryan Adams, Elton John, David Bowie, Billy Joel, Split Enz, Huey Lewis and the News, R.E.M., Stevie Ray Vaughan, Elvis Costello and the Attractions, and The Police. This episode features actors Adam Petzold and Lauren MacDonough from Screen Plays' production of Tennessee Williams' "A Streetcar Named Desire"; features music by Alex North & Jerry Goldsmith, Everything But the Girl, Swing Out Sister, Florence + the Machine, Beth Orton, Joni Mitchell, Adele, Patti Smith, Julie Peel, Field Mouse and Sara Bareilles. This episode features actor and Classics Theater director James Landers, talking about his memories of growing up during the year 1968; includes music from that entire year by Aretha Franklin, Steppenwolf, Traffic, The Jimi Hendrix Experience, The Rascals, The Beatles, The Kinks, Van Morrison, Grateful Dead, Pink Floyd and The Band. This episode features regular guests Philip Frey, Larry Ploscowe and Ted Wenskus discuss the Fringe Festival in all of its splendor, but can the host survive his sleep-deprived state or will a Plan B (by way of multi-talented theater artist Amanda McFaul) be needed to keep the show on track? Includes music by Golden Earring, Wang Chung, The Beach Boys, David Byrne & Brian Eno, Oingo Boingo and Brandi Carlile. This episode features the "Dangerous Signs" duo of director Luane Davis Haggerty & actor-designer Danica Zielinski and the "Home is a Four-Letter Word" trio of actors Vicki Casarett, Steve Marsocci & Sara Michelle Penner; features music by Elvis Costello, Bonnie Raitt, Anna Kendrick, Genevieve, Paul Carrack, David Bowie, Jim Croce, Crowded House and Bruce Hornsby and the Range with Shawn Colvin. This episode (the first of two hours) featured a sneak preview of the Fringe show "Parents and Children, Husbands and Wives: It's All Relatives" with storyteller Penny Sterling and rockers Violet Mary (represented on stage by Mel and Mike Muscarella); also includes music by Genesis, John Waite, Breathe, Joe Strummer and the Mescaleros, John Hiatt, Tears for Fears, Sam Bradley, Everything But the Girl and Brandi Carlile. This episode (the second of two hours) features writer-director Jess Meyer-Crosby ("Positive"), playwright Lori Marra ("Personal Foul") and actors Shadi Kafi & Joseph Barcia (Theater Apparatus' "Love and Information"); features music by Wang Chung, Sylvie Lynn, Mandolin Orange, Susanna Rose, Boz Scaggs, Bruce Cockburn and Dire Straits. This episode begins Volume Two of the series (returning after a summer hiatus), and this Fringe-heavy outing features visits from Mario Savastano, Marcy Savastano and Miles Harrison (DVC's Obligatory Villagers Present The Big One), actor-singer Alma Haddock (Totally Rad: An 80s Pop Adventure) and actors Bianca Halley & Emmett Michie (Dream Lab); includes music by Bruce Springsteen, Nellie McKay, Aretha Franklin & George Michael, Florence + the Machine, Billy Joel and Simple Minds. The volume one finale kicks off with an intro (in French!) 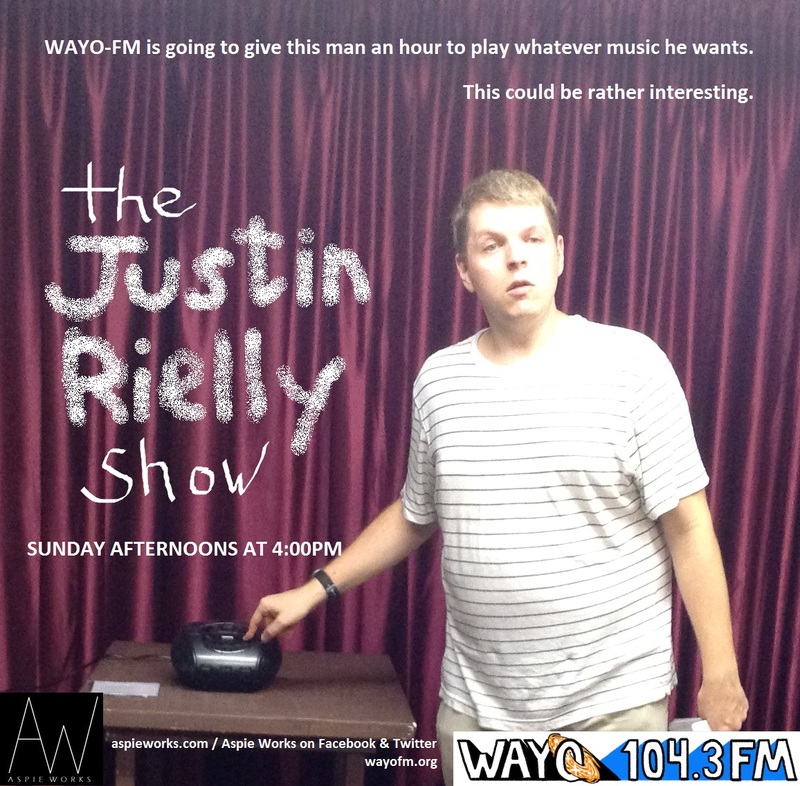 by featured guest Laura Bastida, before giving way to an hour of almost wall-to-wall tunes - featuring music by Bruce Springsteen, Tiny Dinosaurs, Susanna Rose, Eddie Money, David Bowie, Jeff Buckley, George Harrison, Billy Joel, Sylvie Lynn, Scritti Politti, Toad the Wet Sprocket, Big Wreck and The Band.